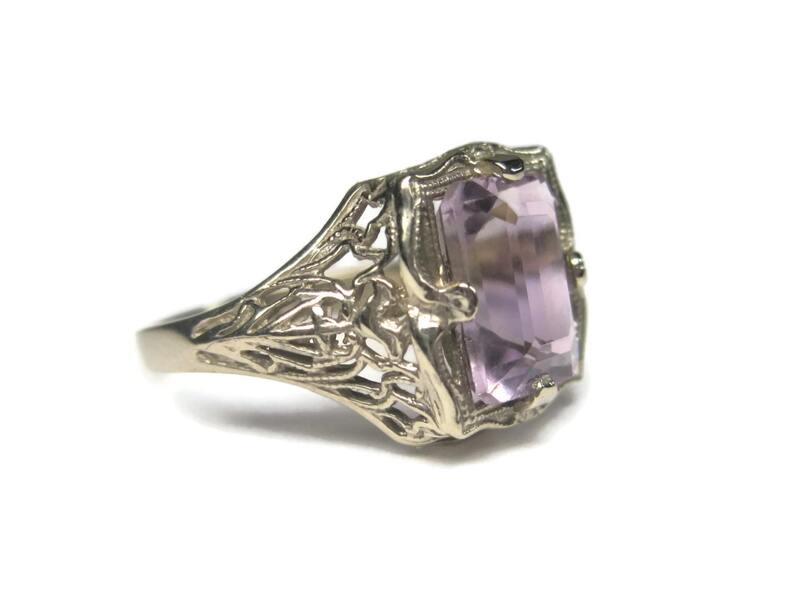 This gorgeous original Art Deco filigree ring is 14K white gold. 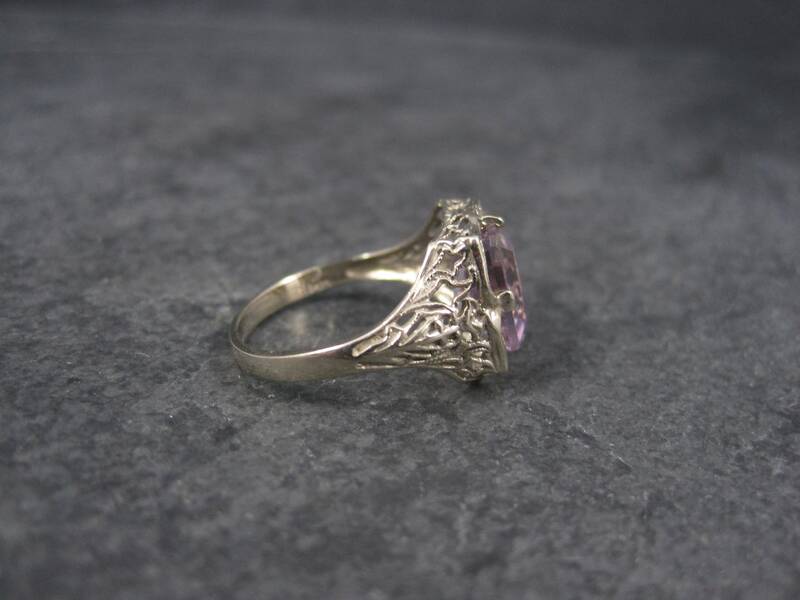 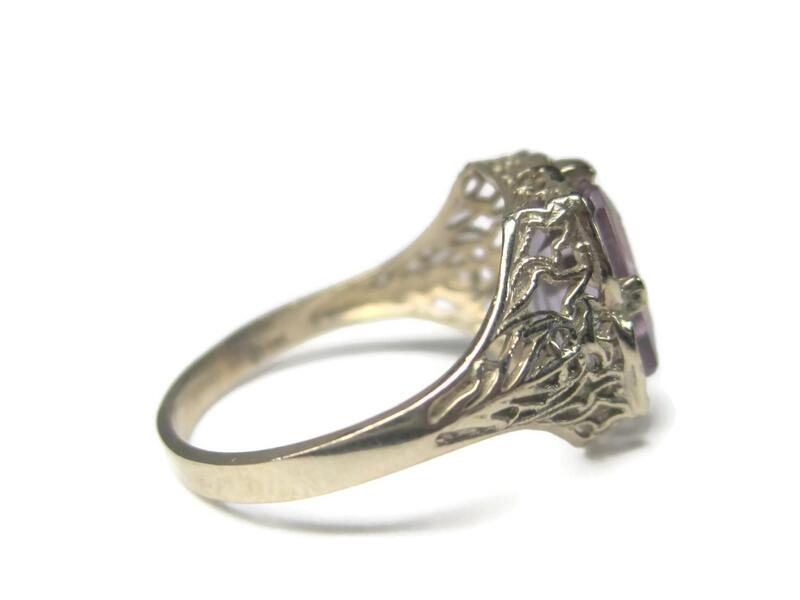 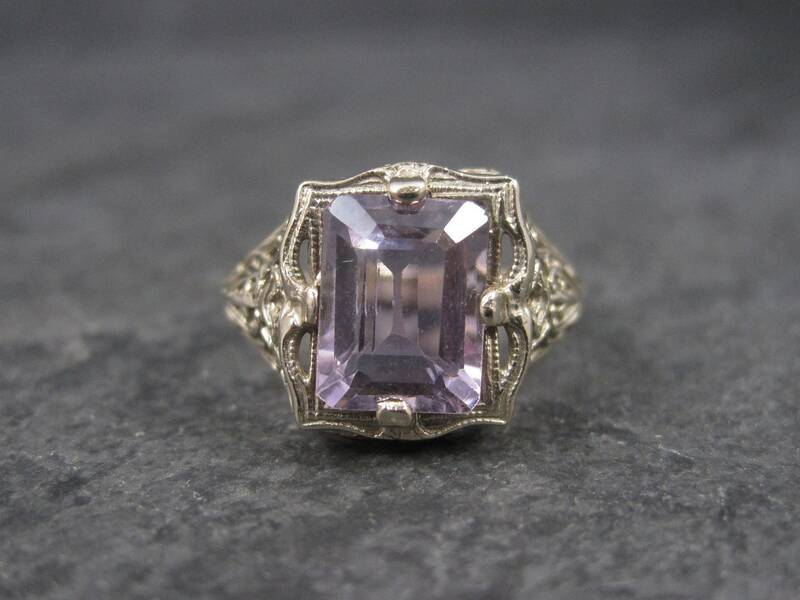 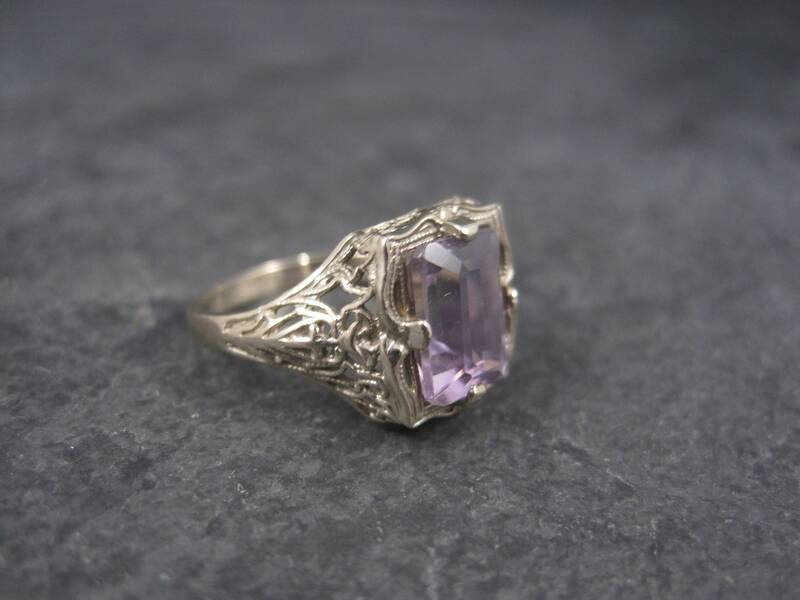 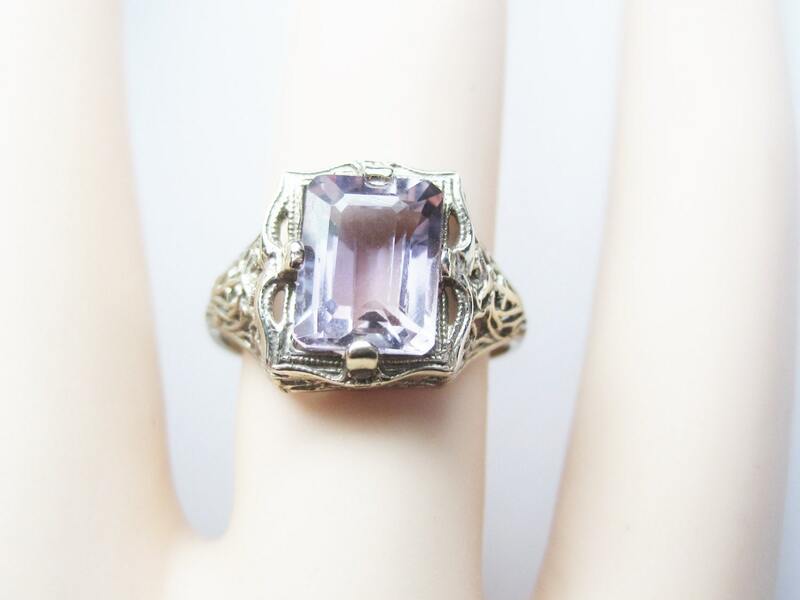 It features an intricate filigree design completed with an emerald cut amethyst. 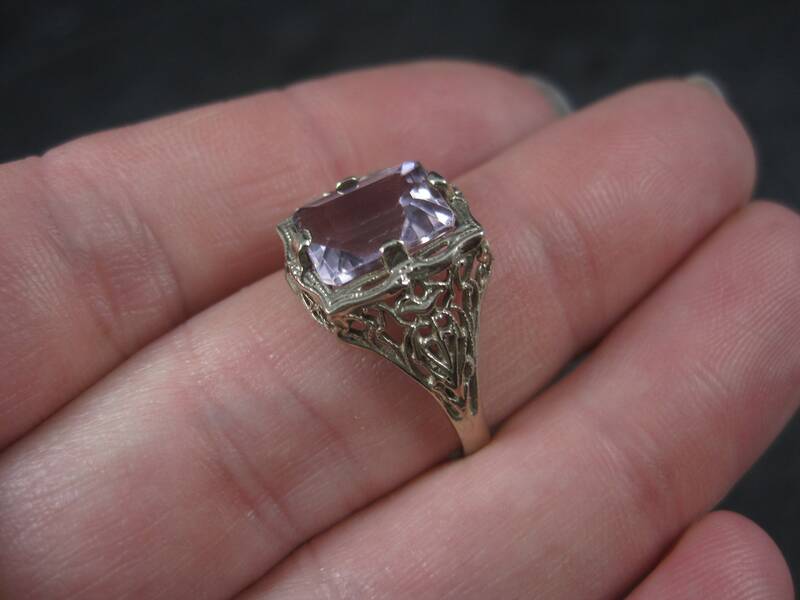 The amethyst measures 7x9mm and is apx 3 carats. 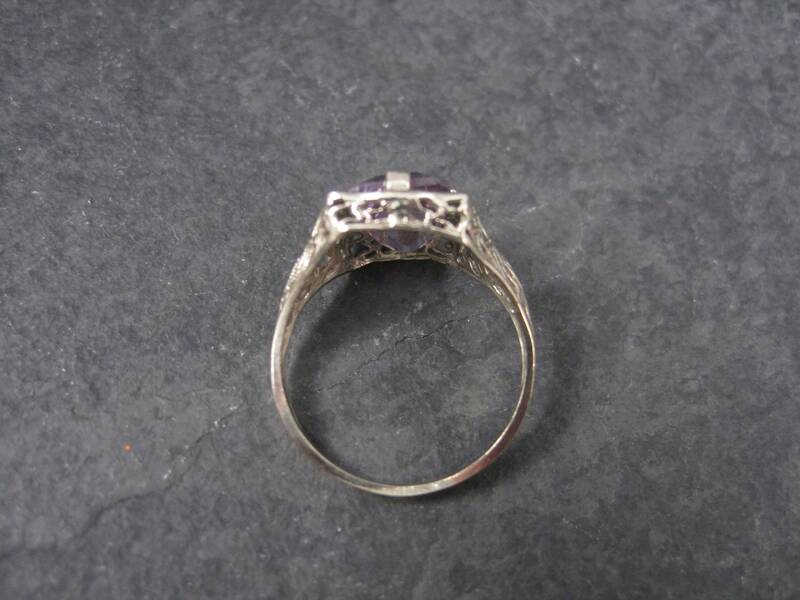 The face of the ring measures 1/2 inch from knuckle to knuckle and it sits 5mm off the finger. 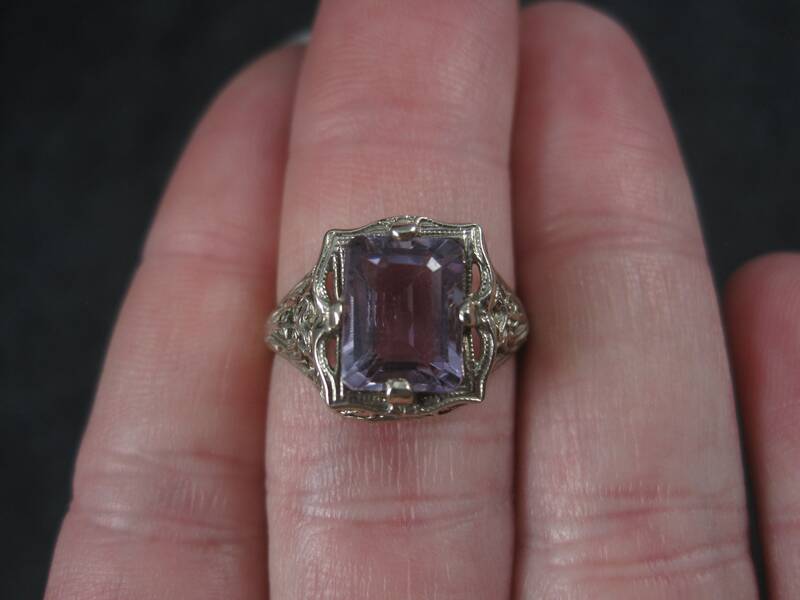 Condition: The amethyst is a bit off center which is noticeable under magnification. 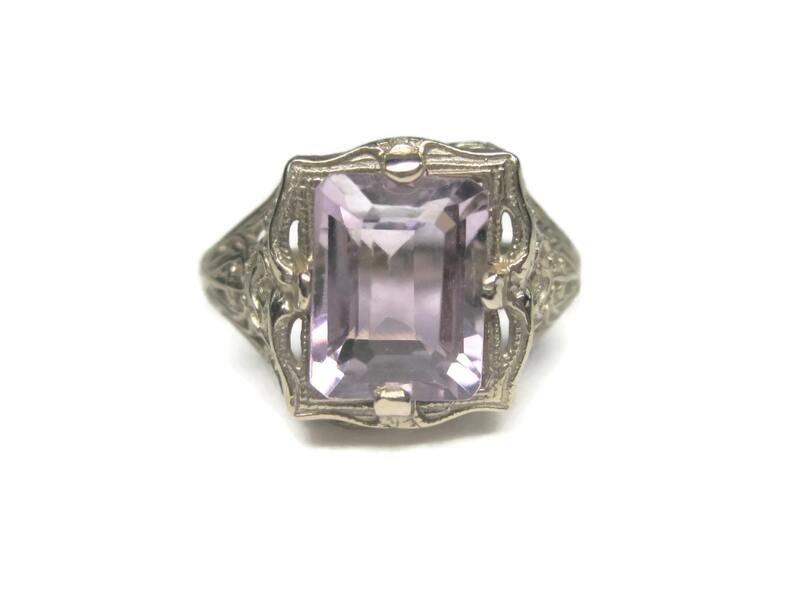 Otherwise this ring is in excellent condition.